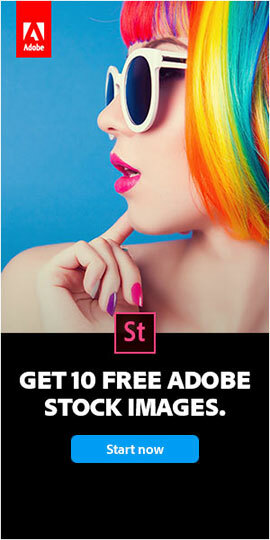 Adobe uses software activation to control how many of your computers are able to run their apps like CC and CS6. So if you’re already at your limit of two computers and want to transfer your license over to a new or different system, then first you should deactivate the software from the old computer. In the program, click Help > Deactivate (for CC, it’s Help > Sign Out), and then follow the instruc­tions to deactivate the software. If you have a suite edition or Creative Cloud, then deactivating any single application on your machine will deactivate them all. Note: You may see two choices on the Deactivation screen – if so, then what’s the difference between Suspend Activation vs. Deactivate Permanently? The answer is that both will properly deactivate your product on that computer. But the first (“suspend”) will keep your serial number stored in the Windows registry just in case you ever want to quickly reactivate the same software on the same computer later, without having to reenter it. However there is no harm in choosing the second (“permanently”) option, because you can always later reactivate the same product on the same machine by just retyping the license key. In other words, it’s basically a conven­ience factor to store your SN. Deactivation is different from uninstallation. If you’re permanently uninstalling Adobe software from a computer, then deactivate it first to ensure its license is freed up. If you deactivate but don’t uninstall, the next time you run Photoshop, Illustrator, Dreamweaver, InDesign, Acrobat, etc. on that computer, you’ll be asked for a serial number or to start a free trial period. 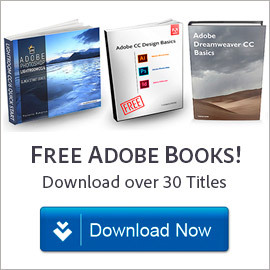 If you can’t deactivate the software because your disk drive crashed or you changed/upgraded your hardware or you otherwise can’t access your program – and you don’t have Creative Cloud – then you may need to contact Adobe Customer Service to deactivate it for you on their end using your serial number. After uninstalling any version of CS or CC, you can run the Adobe Cleaner Tool if you like to make sure it’s completely removed from your old system. Now you’ll need two things: the software installation files (or discs), and the product’s serial number itself. 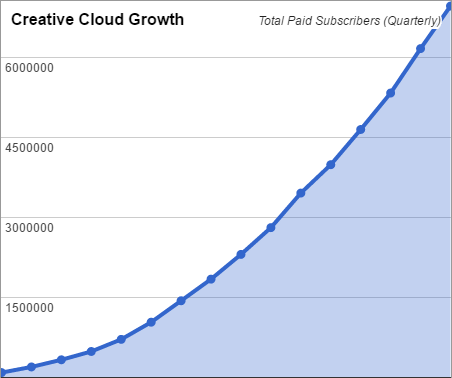 Note for the Creative Cloud, this doesn’t apply – see the next section instead. If you purchased the software but lost the serial number or no longer have it readily available, the first place to check is your online Adobe account. You will have one if you ever registered the program, or if you purchased it directly from Adobe… Just log in with your Adobe ID and all your serial numbers will be listed there. If you don’t see it, then try registering your product now and see if it appears there. As a last resort, you may be able to retrieve it from the computer itself using a free utility like Belarc Advisor (Windows) or Product Key Finder (Mac) – which will recover and tell you the activation keys for the programs on your system. And if you’ve lost or can’t find your original installation file or CD/DVD, or if your machine doesn’t have a disc drive, then you can download and install a free trial of your application from Adobe servers onto your new computer, and that will convert to a full and permanent version when you enter your valid SN. OK, once deactivation is complete, you are free to go ahead and enter your serial number key to activate a copy of the software installed elsewhere, or use it to reactivate the same applica­tion on that PC after reinstalling (for example, if you are changing disk drives or upgrading operating systems). And you should be all set. Note: When [re]installing an upgrade version of Adobe Creative Suite, if you don’t have your prior release already installed on that same computer, then you’ll have to manually input that older license key when prompted by the setup process. In other words, you’ll need to enter two serial numbers, the old and the new. If you are continuing to use your prior release, then per Adobe licensing requirements it must be on the same computer(s) as the upgrade version. If you run into any problems with the deactivation/reactivation process, you’ll have a 30-day window during which the software should work in free trial mode to give you enough time to contact Adobe Support and get things resolved. 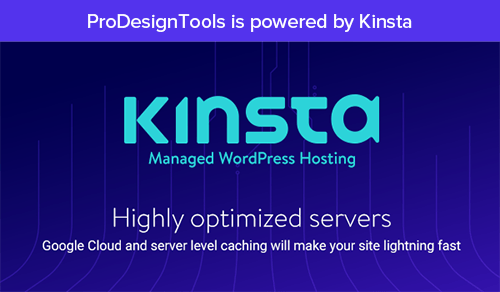 When the tools finish installing, just log in and the CC software will auto­matically be (re)activated on the new hardware for you, even if you didn’t happen to deactivate first on the old machine. You’ll see a screen that says Activation limit reached but just click “Continue” and let the reactivation happen. Just make sure that “Sign me out of the other computers so I can sign in here” is selected. This makes it straight­forward to switch your CC applications to a different system when needed – like when a computer crashes or is otherwise not available, when traveling or away from home, when temporarily using a third machine, and so on. In addition, you can deactivate using your account page on adobe.com. For more details on how all of this works, see this CC Help Page. Creative Cloud and single-app subscribers can also skip the next two sections, as your CC products are already capable of flexibly running on both operating system platforms (both Windows and macOS), as well as freely switching between different languages as desired. 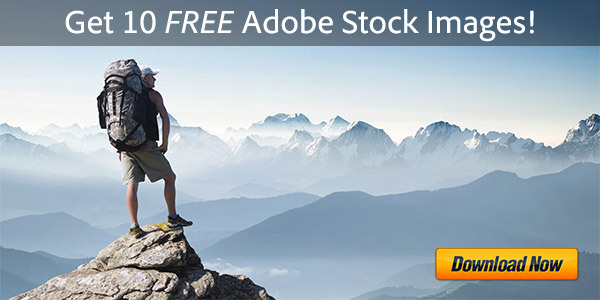 All Adobe CS products, by contrast, are licensed for a single language on a single operating system. Now how about if you want to change platforms, like from Windows to Mac, or vice versa? The easiest thing to do is get Creative Cloud, because (as mentioned above) a single CC license will run freely on both operating systems. For Creative Suite, it’s more complicated, because all CS software was licensed for a single operating system only. So if you are making a switch and would like to take your Creative Suite 6 license with you, then you may be able to do what’s called a “crossgrade” between platforms, which is no charge to you (except nominal shipping costs) and can be submitted online directly through Adobe Customer Service. All product configurations (including Student and Teacher Editions) would be eligible for exchange. There are a few provisos. One is you need to have a registered serial number to qualify (but that just takes a few minutes if you haven’t already). You must also be prepared to deactivate and delete the existing software from your computer and destroy any existing copies, as they will no longer be valid. But perhaps the most important is that you can’t cross-grade from a version older than CS6 to the same prior version — you can only swap platforms with the last perpetual version (which was CS6, that is no longer sold). Note that this same procedure will also work for requesting a change from one language set to another for a given Adobe CS6 application… Just follow the crossgrade process described above – but choose a new and different language on the form, instead of a different platform. And the same goes if you want to move your residence to a different country or region, because the product language will usually be different in your new geography (even for English). For example, in the U.S. the language edition is “Universal English,” whereas overseas it’s “International English,” or another language. After swapping platforms or languages, you cannot cross back to your original platform or language version. No more than five total (lifetime) cross-platform or cross-language upgrades or swaps are allowed per customer, regardless of the product. Software purchased second-hand or from an auction site such as eBay is not eligible for swaps. There are some important exceptions here. The Adobe Lightroom and Elements lines are sold as multiplatform and multilanguage software, so would not require a crossgrade. The same also goes for all Creative Cloud products, because all languages and platforms are automat­ically included and you can freely and easily switch between them at any time with Adobe CC. Hopefully that should do it! Please let us know if this article helped you out, or any questions you may have in the comments below. If you’d like to move away from shuffling serial numbers altogether, check out Creative Cloud for Teams to simplify management instead of single-user copies… With straightforward per-seat pricing, you get a flexible license that includes powerful workgroup collaboration capabilities plus expert support for your entire team. Is it still possible to ask for a CS6 Platform swap? I use CC but my CS6 turned to be handy on some occasions. My Mac Pro is going to lose MacOS Support (mojave) and my CS6 is for windows (at the time the Windows HDD had more GB since I opted for an SSD for MacOS). Can I ask Adobe to change my license from Windows to Mac? I am a student and the license is educational if that matters. Not sure. Creative Suite 6 is end-of-life and Adobe no longer sells it. 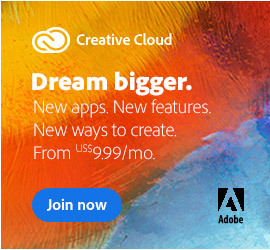 If you require a different language or operating system version of a non–Creative Cloud product you purchased from Adobe, you can exchange your product. For example, if you now run Mac OS instead of Windows, you can swap Creative Suite 6 for Windows for Creative Suite 6 for Mac. Or you can exchange your product for a different language version. Here’s how. So you could ask and see what they say. 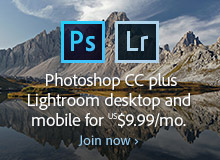 Just download and run CS6 instead of (or in addition to) CC for the apps you want, and then you can install and use CS6 on the same computer(s), either on Windows or on macOS or both, as part of your membership. This worked perfectly! Thanks for sharing this with us, awesome post. I found this just in time! I was going crazy not knowing how to transfer my files. I’m looking at getting a new computer and want to move my CS6 programs over too. My only concern is that I have the student & educator edition. Will I still be able to deactivate it on my old computer and install it on the new one? If so, what will I need to use to log in to everything and register the new computer so it can run CS6? In the case of CS6, you would need your original serial number (a.k.a. product license key) in order to reactivate the software on your new computer. How to Use Photoshop to Create a Time-Lapse Video from Photos How Many Computers Can You Install or Run Adobe Software On?